There are many reasons for hiring a private investigator. Most are sensitive in nature. The private investigators of Distinctive Investigations understand the sensitive nature of the business we do. We are local to Miramar Beach, FL and are familiar with the area and care about our local reputation. We are here to help you resolve your case and will handle all aspects of your case in a professional manner. In your search for Investigative Services in Navarre, you surely clicked on companies webpages that advertise that they offer investigation services to the Navarre area. Many of these companies do not have an office in the NW Florida region or the state of Florida. When you hire them they either send someone in or subcontract out the job to a local company. Either option can cost you additional money. Distinctive Investigations his office locations in Navarre and Santa Rosa Beach and we proudly serve our neighbors. We have connections to the local community and you will benefit from that come with local service. Our investigators are familiar with the Navarre area and have connections that we leverage to provide advantages that those unfamiliar with this area lack. 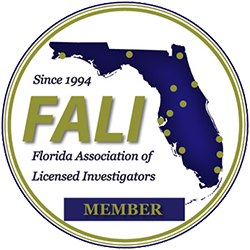 We specialize in Criminal Defense Investigations, Family Re-connections, and Workers Compensation Fraud Investigations, but we are a full-service investigative firm and experienced in all Investigative Services. If you need investigative services and want experienced, thorough, professional investigative services from a Miramar Beach private investigator, give Distinctive Investigations a call at (850) 396-0082 or send us an email using our Contact form.